A successful day for the host nation on Thursday 2nd February at the Stag 2017 Under 21 European Championships in the Russian city of Sochi; perhaps not perfect but when the curtain closed, there was an air of satisfaction amongst home supporters. Sadi Ismailov, Konstantin Chernov and Vladimir Sidorenko had all booked places in the next phase, a competition in which players finishing first and second in each initial stage group advanced. Sadi Ismailov, the second highest rated player on first stage duty, duly topped his group but for Konstantin Chernov and Vladimir Sidorenko it was runners up spot. Impressively Sadi Ismailov, the second highest rated player in the first phase, beat Romania’s Alexandru Manole (11-4, 11-9, 11-2, 11-6) and Belgium’s Florian Cnudde (11-6, 11-7, 11-8, 7-11, 11-3. Top spot in the group as expected; for Vladimir Sidorenko, only 14 years old, it was an anticipated outcome but only by a narrow margin. 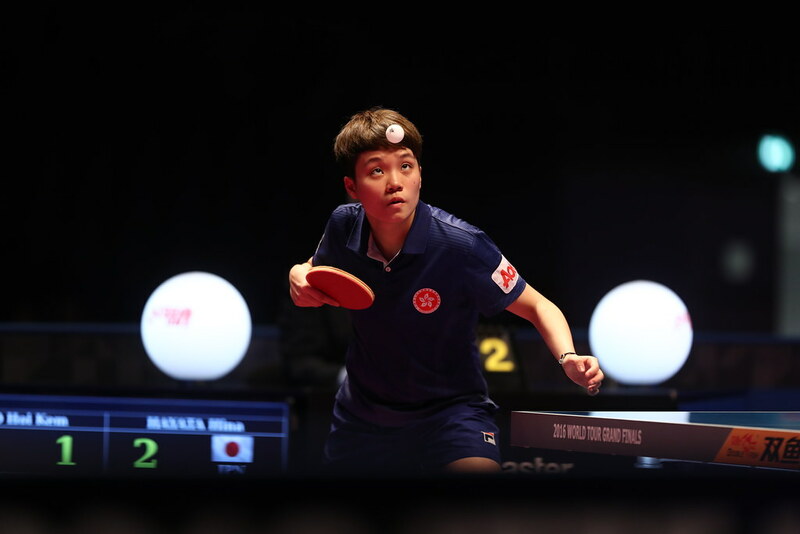 He finished the group with two wins, the same as Germany’s Qiu Dang, the highest listed player in the group, and the Czech Republic’s Stanislav Kucera. Vladimir Sidorenko caused a major upset by beating Qiu Dang in six games (11-4, 8-11, 4-11, 11-8, 11-5, 13-11), before in a titanic concluding contest, experiencing a seven games defeat at the hands of the Czech Republic’s Stanislav Kucera (11-5, 11-7, 8-11, 11-6, 8-11, 7-11, 16-14). Earlier in the opening contest in the group, Qiu Dang had overcome Stanislav Kucera in five games (11-6, 6-11, 11-8, 11-8, 11-6). Thus on games ratio, it was first place for Qiu Dang (6:5) with Vladimir Sidorenko next in line (7:6) and Stanislav Kucera (5:8) in third spot. The status quo for Sadi Ismailov and Vladimir Sidorenko, not for Konstantin Chernov; the fourth highest named on first phase duty, he had to settle for second place. In a similar situation to that of Vladimir Sidorenko, he finished level with Sweden’s Simon Berglund and Belgium’s Thibaut Darcis; each recorded two wins apiece. In his opening contest, Konstantin Chernov was beaten by Thibaut Darcis in five games (16-14, 8-11, 11-6, 13-11, 13-11), a major upset, one of the biggest of the day. “It is always like that in the opening matches. It is hard for everyone and I seized my opportunity. I was better in the tight finishes; little things prevailed. I was aware of his dangerous service game; in rallies I felt confident. We met two years ago but since then we both have changed a lot in our play”, Thibaut Darcis after beating Konstantin Chernov. Defeat but Konstantin Chernov responded immediately; in his second contest he defeated Simon Berglund in six games (11-6, 12-10, 11-5, 9-11, 7-11, 11-7). A response from Konstantin Chernov, it was the same from Simon Berglund; in his next duel, he defeated Thibaut Darcis in four straight games (11-9, 11-8, 11-8, 11-9). Thus on games ratio, Simon Berglund topped the group (6:4), second place went to Konstantin Chernov (5:6) with Thibaut Darcis (4:5) in third spot. Latest results: Stag European Under 21 Championships.